Home Timberline Consulting and Training Company. Software and web development. Servicing Sage 300 Construction and real estate Timberline clients anywhere via Citrix and Webex. Info Tech Outlook, Inc. is a consulting and training company specializing in Sage 300 CRE accounting systems, project management systems, estimating systems. service management systems and property management systems support and implementation. Info Tech Outlook also provide several business services such as process management, accounting system audits, business mediation, accounting outsourcing and intervention accounting. Software development and app development allows us to offer better flexibility in making systems adapt to our clients needs instead of the other way around. ITO specializes in turnkey technology systems. We seek to understand the client’s needs first, and then help them find the best software, hardware and networking services. Our training will help bring the client’s staff up to speed on the new systems or better yet, we can do the training onsite. ITO consultants will help the client plan the implementation, including data conversion and testing. Our proven methodology, gained from hundreds of other installations, assures the client’s success. In addition to using GoToMeeting meeting centers online, from time to time clients require the services of a consultant to come to their location and do work on their system. Consultants do a variety of tasks ranging from report design, upgrades to new versions, file fixes and a range of other technical jobs. ITO offers the services of several experienced consultants for these purposes. Consulting services involves a consultant going to a client’s location and working through a checklist of items the client needs adjusted. Before the consultant arrives, an ITO Client Services representative will discuss your needs and develop a specific scope of work that the consultant is to complete. This ensures all parties have a clear understanding of what will be achieved before any work is begun. The Company has great knowledge of the construction industry and it’s leading accounting and project management software, Sage 300 Construction and Real Estate Timberline and JD Edwards. The founders expertise include turnkey services including sales, implementation, consulting and training on Sage 300 CRE Timberline and JD Edwards accounting, estimating, property management software, Service management, purchasing, Fixed Assets, and other handheld computing solutions as well as business expertise in mediation, outsourcing and process management. ITO services multitude of companies that vary in size from $10 million to $6 billion a year. We take pride in providing all of our clients with the same level of service no matter the size. Home Builders, General Contractors, Property Managers, Subcontractors Service Management and Construction Management companies all rely on Info Tech Outlook to keep them on the cutting edge of technological advancements. 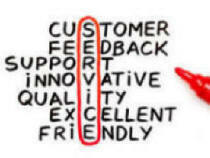 To analyze, recommend and implement the best business solutions for our clients. Starting ITO was inspired by the growing demands for software in the middle market and the relatively few firms providing support. While the long-term goal is to become a broad based software and business consulting company, the short-term goal is to gain market share in the construction software market capitalizing on the tremendous growth in the construction industry.